Located in Lyons, Oregon, Freres Lumber has been in business for nearly a century. After starting out producing standard lumber projects, the company moved into wood veneers some 60 years ago and in 1998 purchased a plywood plant. 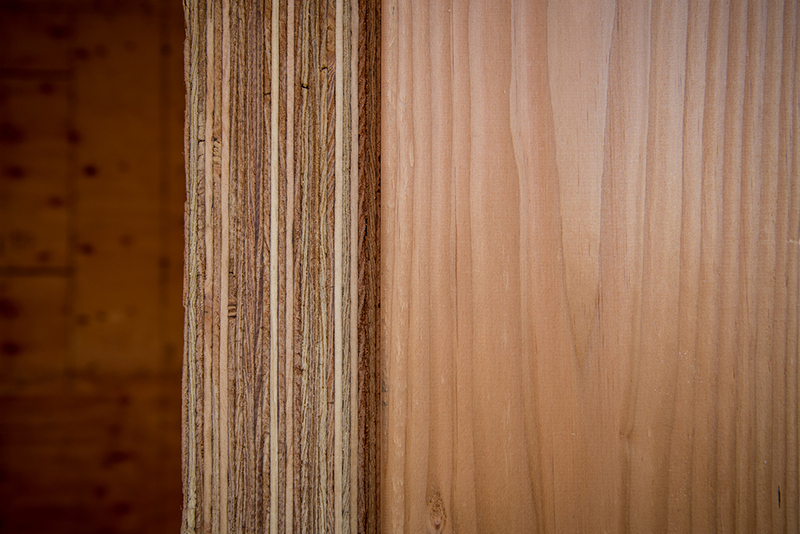 Now, it’s made another step: getting U.S. and Canadian patents on its mass plywood panel (MPP), the first veneer-based mass timber panel in the world, and fire approvals to build up to 18 stories high with the panel. The mass plywood panel has already been put to the test on a smaller scale—this past year Freres worked with design-build startup BuildHouse to construct an A-frame house with the panel in Snoqualmie, Washington. The company has also seen its product used in larger projects. Oregon State University’s new Peavy Hall, a forestry science center designed by Michael Green Architecture (a Katerra partner), featured Freres Lumber’s product on the roof, while the nearby A.A. “Red” Emmerson Advanced Wood Products Laboratory shows off the panels on its interior and exterior walls. Both buildings are part of OSU’s forestry complex, which is designed to display an array of new mass timber technologies. Freres also maintains a relationship with the TallWood Design Institute, a partnership between OSU and the University of Oregon, working with the institute to test its products. 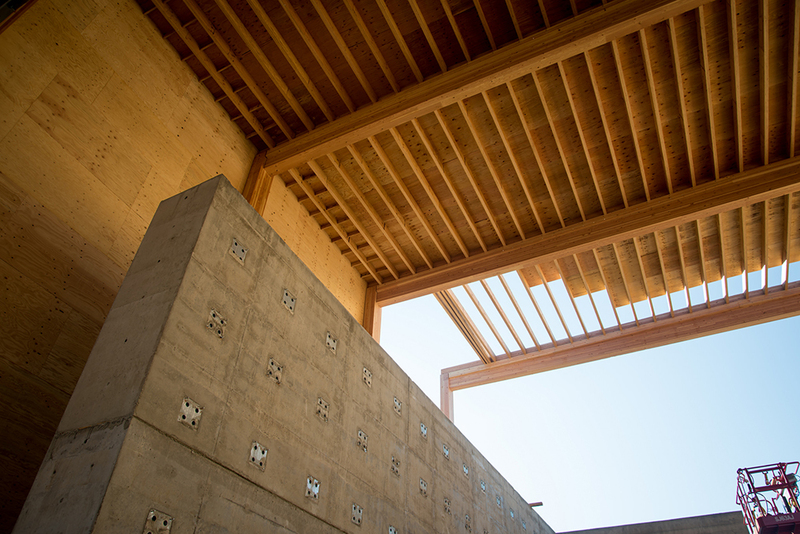 The company claims that MPPs have a number of benefits when compared to the cross-laminated timber products that have taken off in recent years—it was a CLT product that collapsed this past summer in the Peavy Hall Project, not Freres’s. Freres noted that MPPs offer better structural support and design flexibility. CLT can only be built out in orthogonal layers and is generally confined to standard lumber dimensions and shapes, whereas MPPs have greater flexibility in form and dimension (the panels and their thin veneer layers can be very small, but they can also scale up to as much as 48 feet long and 1 foot thick), giving designers and builders a greater range to work and experiment with. Prefab plywood panels are also an option, but they can easily be cut by a CNC machine to spec. 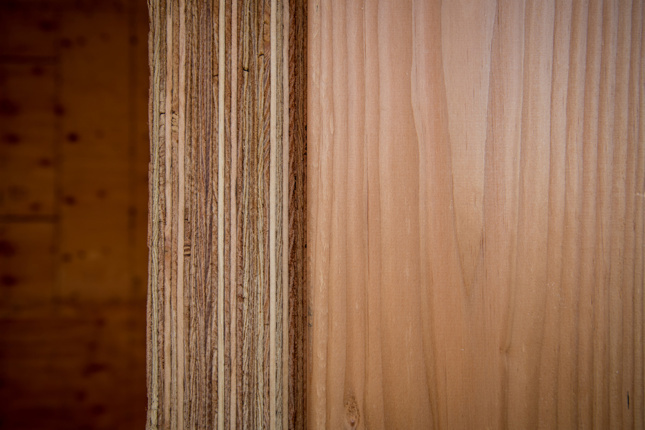 Mass plywood panels also use less material; they take 20 percent less wood fiber to meet the same structural specifications as CLT. They’re also more eco-friendly in terms of what trees they can use. MPP can be built with smaller diameter trees, as small as 5.5 inches, though normally trees with 9-inch diameters are used. Using small trees means relying on second-growth trees, like local Oregon Douglas fir, and ones that are likely to be “choked out” under the shadow of larger growth.